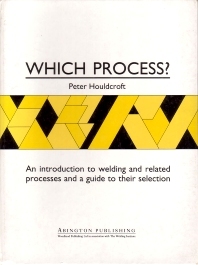 Basic joint types; Applicability of processes to joints; Principles of basic characteristics of welding and related processes. The author presents a unique scheme for selecting processes at the drawing board stage where a need for a connection is usually first perceived. Leading the enquirer through a series of diagrams and tables, he reveals the processes which are feasible for a particular joint. The book includes descriptions of 28 joining processes in which the principal method of use, advantages and limitations, application and factors affecting costs are explained. The book is well illustrated and contains much useful advice invaluable to practising engineers and designers having no previous knowledge of joining.